Ford is on pace to sell more F-Series pickup trucks than it ever has before, selling more than 450,000 of the things in just the first six months of 2018, according to Automotive News. For reference, that’s like every single person in Cleveland all going out and getting a brand spanking new pickup truck this year, and then there would STILL be about 100,000 unclaimed pickup trucks having to be stored in parking lots in somewhere. Maybe Cincinnati. Is Cincinnati still a thing? 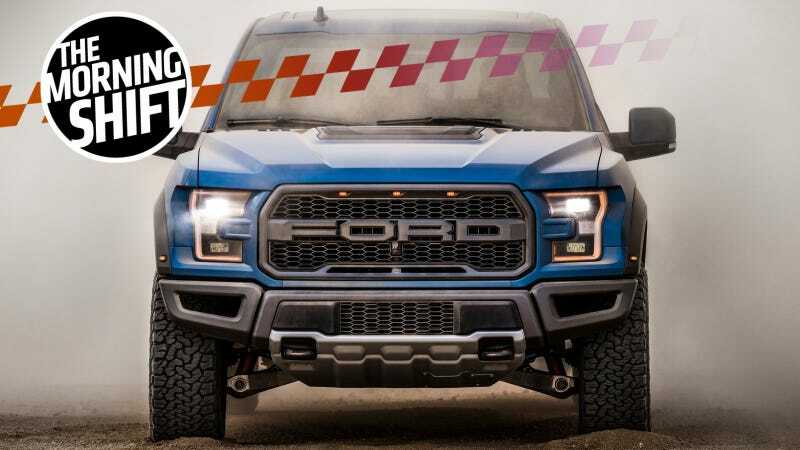 You can get a Ford pickup in pretty much any size you want (as long as you’re shopping in the Big & Tall section, that is), with pretty much any engine you want. Turbo four-cylinders, V6s, V8s, a diesel, and so on. Although, at some point, we’re going to have to be honest with ourselves. Automakers like to claim that pickup trucks are all One Thing, and they’re not. I refuse to believe that a Ford F-150 Ecoboost and and an F-350 are the same car. I just won’t. You can’t make me. The number of combinations available to the customers including bed-length options is almost incalculable. But sticking to the core configurations above, Ford says the F-150 and three heavy-duty truck models — F250, F350, and F450 — combined give buyers upward of 230 choices. Toyota’s F-150 competitor, the Tundra, offers just two engine choices across three different grades, as well as two drivetrains. It doesn’t even try to compete in the heavy-duty segments. It sold just 116,000 pickups last year. Give me a diesel hybrid off-road Tacoma, please. I know, I know, another day, another “the Trump tariffs are bad” story. I wish they would all just go away, but these things keep happening so we have to keep writing about them. Just read it. It’s very easy to say “well Subaru should just build another American plant,” but that sort of thing isn’t so easy in reality. New plants take years to build at best, and new tariffs – as we’ve seen – are implemented swiftly. Kneecapping half of Subaru’s sales would be devastating to the company, and would likely hamper efforts to even build a new American plant. After all, you gotta have money (from car sales) to be able to spend money on a new plant (for more car sales). I know, you’re sick of hearing about Tesla, too. Tell GM to do something weird and we’ll write about GM instead. Boeing Co. and Airbus ﻿SE, swamped with orders for new jets, are struggling to deliver them all on time—in some cases angering customers and delaying payments. Airbus has missed a number of deadlines for deliveries, forcing airline customers to find alternatives, change routes or cancel flights. It has delivered fewer planes than it did by this time last year, despite promising 80 more this year. The missed deliveries mean delayed payments, because most cash changes hands only upon delivery. That has hit Airbus’s closely followed cash flow over the year. Boeing hasn’t missed any deliveries and says it won’t. But it is straining with the same supplier shortfalls as Airbus, particularly when it comes to engines. Maybe it isn’t good to have only two main companies building airplanes? And no, Embraer, Sukhoi, and Bombardier don’t count. Neutral: With So Many Pickup Options, What’s The One Unavailable Option You Want? My fantasy pickup truck is one built for human-sized people. Lame, I know.